Went with a higher speed for the Ryzen processor. The ram looks stunning and would recommend to anyone. Runs at 2666MHz (XMP Profile). Only problem is that it is actually CL16 and not CL15, as advertised. Lucked out on the price right before Newegg ran out of stock. The heat spreader looks very nice. 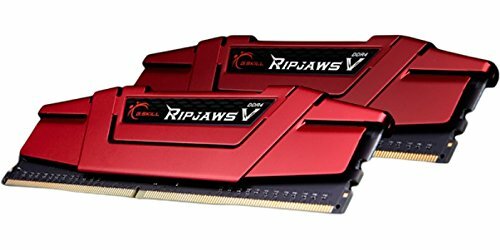 Fast ram, looking to grab another two sticks here in the near future. It fits perfectly in my red and black build. Memory is memory, this does the job well. Dual channel. 2666. Cheap. Awesome!